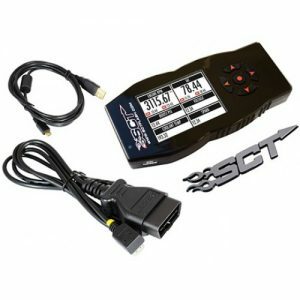 SCT’s GTX is performance tuning, reimagined – no computers necessary. It’s the easiest-to-use tuner on the market, loaded with powerful features and our most advanced hardware to-date. The new GTX Performance Programmer starts up in under 10 seconds and is super-responsive, sporting a 5-inch capacitive glass touch screen that rivals today’s smartphones. SCT’s GTX is performance tuning, reimagined – no computers necessary. It’s the easiest-to-use tuner on the market, loaded with powerful features and our most advanced hardware to-date. The new GTX Performance Programmer starts up in under 10 seconds and is super-responsive, sporting a 5-inch capacitive glass touch screen that rivals today’s smartphones. 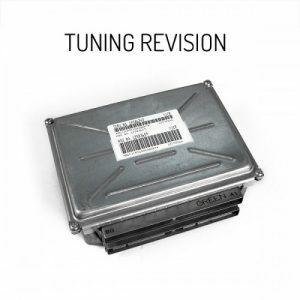 Along with the ability to hold 20 custom tunes, GTX comes preloaded with multiple SCT tuning levels. GTX is also the premier data monitoring solution, giving drivers the ability to monitor the industry’s most extensive list of PIDS, or engine parameters, on an easy-to-use device. 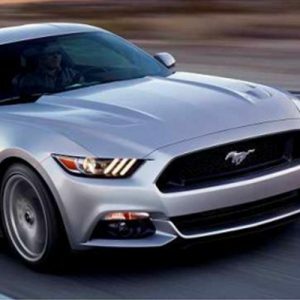 Its high-resolution customizable gauges and WiFi connectivity add to the truly unparalleled user experience. Drivers can log vehicle performance data as they drive, and play it back later using SCT’s free LiveLink software. 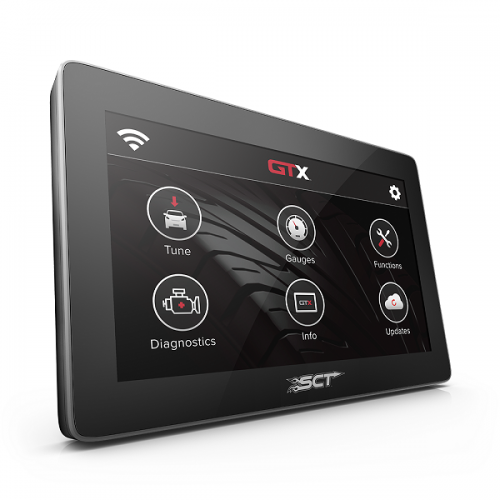 GTX also gives users greater insight into their vehicle by reading out and clearing Diagnostic Trouble Codes (DTCs). GTX’s unique grab n’ go magnetic mounting system allows the device to be kept front-and-center while driving, and then quickly stowed away when not in use.